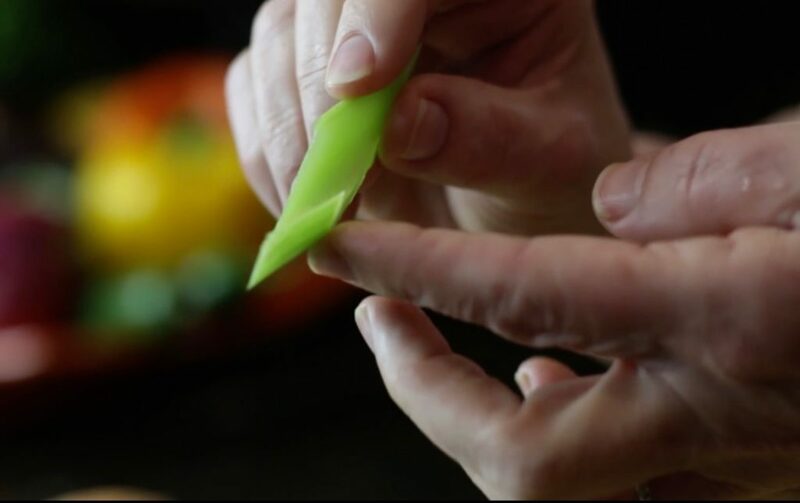 Watch our latest video on How to Slice Vegetables. It may seem pretty straight forward, but we include a couple of tips for different shapes, including a unique one for a crudité platter. Try our recipe for Scallion Parsley Humus! 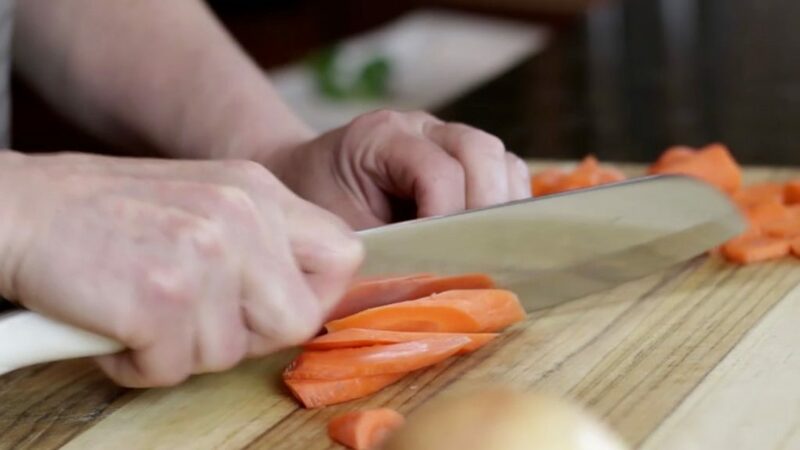 See our Knife Skills Master Playlist here. Cutting celery and carrots is exactly what you’d think. Slice across into the thickness you want. Carrots can be sliced as whole or half coins. Learn how to make an interesting shape for larger chunks of carrot in a stew that are just a wee bit fancy!